In 2005, the FDA ordered that pharmaceutical companies include “black box” warnings on antipsychotic drug packages regarding the risks posed by the drug class to patients with Parkinson’s disease (PD), particularly because they could worsen symptoms. However, 6 years later, it appears that trends are unchanged. More than half of the nation’s patients with PD and psychosis are still being prescribed antipsychotic drugs, according to results from a study published in the July 2011 Archives of Neurology. 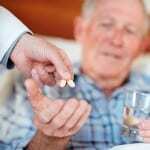 For the study, researchers from Pennsylvania, Ohio, and Michigan analyzed Veterans Affairs data from 2002 to 2008 to assess prescription rates of antipsychotics among 1,804 patients with PD but no dementia, 793 patients with PD and dementia, and 6,907 patients with dementia and psychosis but no PD. Roughly 50% of patients with PD and psychosis in 2008 received an antipsychotic prescription, with use of the drugs higher among those with PD and dementia than among those without dementia. Although the overall rate of antipsychotic prescriptions for PD remained unchanged between 2002 and 2008—despite the FDA warning in 2005—a decrease was seen in the use of some antipsychotics. The study authors noted, however, that there was an increase in use of other antipsychotics that were seemingly better tolerated by patients with PD. They stressed that better tolerance from patients does not mean that the drugs are necessarily safer or more effective. Do you prescribe antipsychotics to your patients with PD? Why or why not? If you prescribe antipsychotics to patients with PD, were you aware of the 2005 warning from the FDA? If so, why did you continue to prescribe a drug from this class? What can be done to reduce the number of prescriptions for antipsychotics in patients with PD? Do you feel that this is necessary?